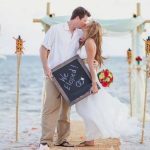 Getting married should be considered a very big deal to anyone who intends to settle down some day and before getting married, there are a lot of things you ought to consider. So many people agree to get married to another person for so many reasons. Some reasons are genuine while some are not. Getting married is exciting and the feeling derived from it knowing you’re going to be spending the rest of your life with the person you love is even more exciting. So amidst all these feelings of joy, it’s possible for an individual to get married for the wrong reason or even be in a haste to get married. This is one very important question anyone who wants to get married should answer. Is it because you are so much in love and can’t wait to be with your love? Are you getting married because you are pressured to or do you feel it’s the right time for you to get married? The answer to this question is relevant in determining if the marriage you are going into is worth it. So before getting married, think about it, search within yourself and find out the real reason you want to get married. At least, even if you lie to everyone, you cannot lie to yourself. Is he or she really the one? It’s very easy to say you are so much in love with someone which may prompt you faster than you think to actually get married but have you wondered if he or she is really the one for you? As there are lots of fishes in the ocean so also there are numerous men and women in the world so how can one really know who is right for them? Well, having a personal conviction about him or her is very strong in determining if he or she is the one for you. So before getting married, find out if you are convinced about the other person. I believe you cannot or shouldn’t get married to a person you are not compatible with. People have their individual differences but being compatible with one another is really important in having a successful married life. I can’t imagine a couple fighting all the time all in the name of love and I see this a lot in marriages today. Couples fight and fight and settle. 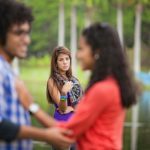 Fighting too much is not too healthy for anyone; this is why it is good to study your partner when courting so you know their personality type. If the two of you are in sync in almost everything then your relationship should be enjoyable. Compatibility is vital in any relationship. Is your partner with you all the way? There’s one thing that can be so annoying in relationships and that is if the two of you are not in agreement all the way. If only one person is excited about getting married then that is not good. Before getting married, ensure you are both on the same page so that making plans would not be worrisome. There is no point in marrying someone who isn’t all that into you. If you do not get a 100% satisfaction from the other person please call it quits so you do not regret making any wrong marital decision. If your partner who was so happy and excited about getting married suddenly loses interest or starts acting weird then know that something is definitely wrong. It’s best to find out what the issue is before getting married. Are your religious beliefs alike? It’s important if you both have the same religious beliefs because this alone has destroyed many homes today. So, right from the beginning of the relationship make sure you understand this aspect because it is necessary for any relationship. Before taking the next step in your relationship, take note of the tips in this article.